RobbJack’s TiN coating is optimized through a patented process to give you consistent coating properties. It is important to match these coating properties to the application and the quality required. For applications such as medical instruments or injection molds, the consistency, abrasion resistance, and quality will be most important, while for commodity drills and decorative applications the lowest price per piece may dictate the coating specifications. 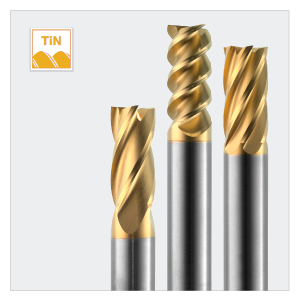 These differing properties can be gained through the adjustment of the temperature that the coating is applied at and the total thickness of the coating.